Apologies for starting out this review on a negative note, but I just have to point out that I haaaaaated Bowman’s debut novel, Taken, and so I was very hesitant to read this book. But Taken came out years ago, so I decided to give the author another go in the hope that her writing had improved and that she had stopped writing abusive main characters. And she did! I ended up really enjoying Contagion, and I’m really looking forward to reading the sequel when it comes out (presumably) next year. Contagion is basically Alien meets The Walking Dead. A group of people respond to a distress signal on a barren planet, and when they arrive nearly everyone is already dead. It turns out that there’s some sort of virus sweeping the planet, and the team has to try to escape before they get infected and turn into what is effectively zombies. So, it’s not the most original plot. I’ve seen a lot of movies like this before. But I still really enjoyed it because it was fast paced, engaging, and it was written really well. I really enjoyed the origin and the background of the virus, and all the little clues that Bowman had strewn throughout. The characters aren’t overly memorable, but that’s not necessarily a bad thing in this case. I feel like this book was written more for the plot than the characters and the romance. There’s little to no romance here either, which was perfect because it really didn’t need any, and I’m getting really sick of YA genre fiction adding romance just for the sake of it. 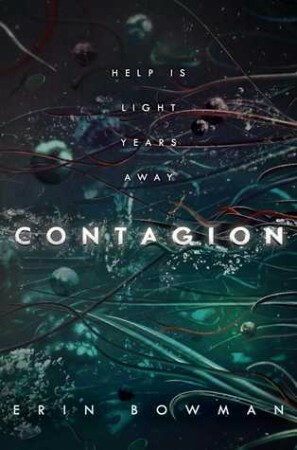 I’m just really impressed by Contagion and I’m looking forward to the second book. 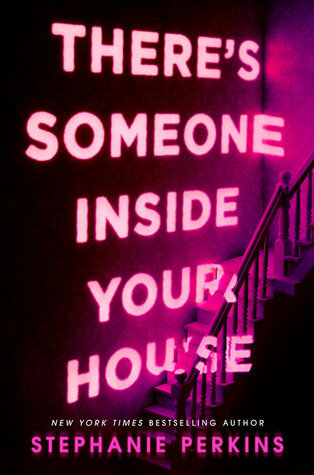 I hope it’s just as action packed and creepy as this one was! Well, this sounds great. This isn’t one I’d come across before but your review definitely has me thinking I should pick it up. Zombies, viruses, general end-of-the-world type plot = totally my areas of interest. Also love that there’s not too much romance because I absolutely agree with getting fed up of romance being added for the sake of it. Thanks!